A ship mast is a very high pole that extended way beyond the deck. Its main job is to hold the sails and all the rigging. In addition, the masts hold the flag and the crow’s nest. 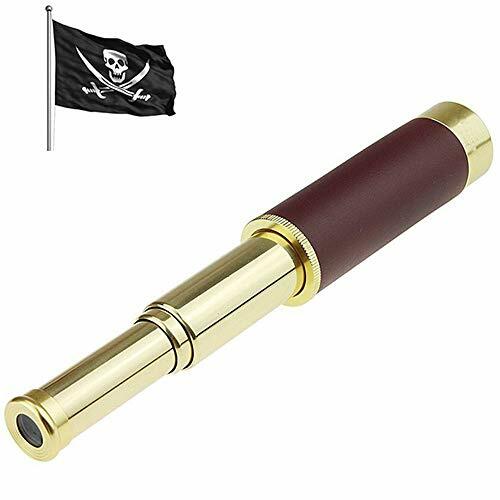 Pirate ships usually had a foremast – the front mast; a mainmast – the middle mast, which was often the highest one as well; and the mizzenmast – the back mast. The rigging is the support system that consists of ropes, cables, and chains. It helps hold everything in place – it attaches the sails to the masts, for example. There are two types of rigging that pirate ships used: square rigging and fore-and-aft rigging. Square rigging was certainly better for open-sea sailing, but fire-and-aft worked better when sailing against the wind. A sail is basically a piece of cloth that is attached to the mast. Using the power of the wind, sails help move the pirate ship. Depending on what type of rigging the ship used, sails would be either on the back of the mast or in front of it. Square rigging used rectangular cloths, while the fore-and-aft rigging used triangular. The main course sail was often the biggest one and also the lowest one on the mast. The crow’s nest was located at the end of the main mast, way up above the sails. Pirates used it as a lookout spot because it had the best view on the ship. 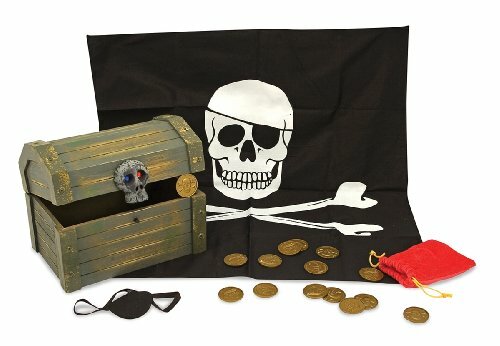 A pirate would go to the crow’s nest to look for any potential hazards or enemy ships. The hull is the body of the ship that lays below the deck. The shape and inside structure of the hull usually depends on what the ship’s original purpose was. 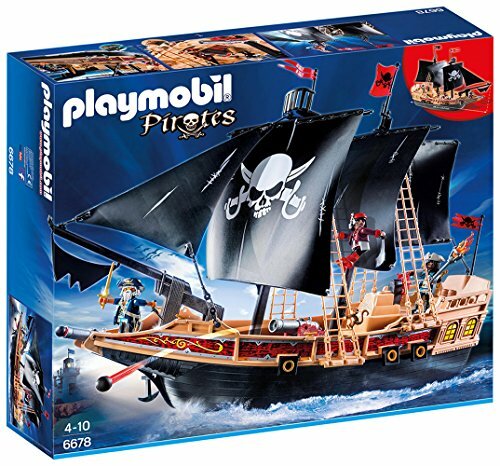 Pirate ships were often stolen, so pirates made modifications as they pleased. Cannons were located on both sides of the hull on the outside. A bilge is what they called the bottom of the hull. The deck covers the ship’s hull. It was certainly the busiest part of the pirate ship. The entirety of the deck consisted of the main deck, the quarterdeck, and the forecastle. Quarterdeck was the lifted part of the deck at the very end of the ship. The main deck was the middle part, which took up the most space. The forecastle was located at the front of the ship. Pirates would sleep below the main deck in berths. Captain’s chambers, on the other hand, were usually below the quarterdeck since they were bigger. Pirates would also keep gunpowder barrels below the main deck, near the cannons. The rudder steers the ship in one direction. It’s located at the tail of the ship below the water. The captain controls it by turning the wheel on the quarterdeck. The anchor, when dropped, keeps the ship in place and stops it from drifting. A metal anchor is attached to a strong rope and placed in water. The anchor attaches itself to the bottom of the sea/ocean or simply stays down due to its weight. That about sums up the different parts of a pirate ship, so that’s all for now you dirty sea dogs! 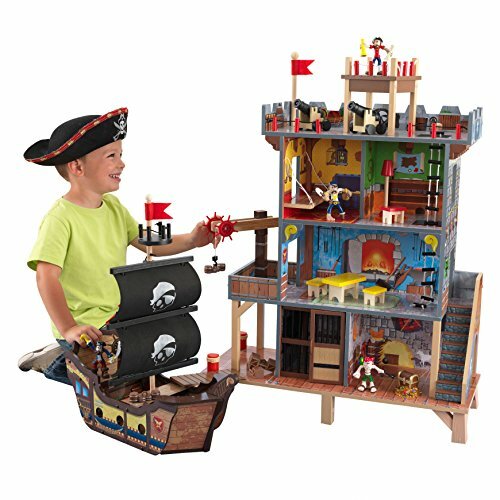 If you’re interested in pirate ship toys consider heading over to see our review!